Amazon have signed a deal with PBS to give Prime Instant Video the exclusive streaming rights to Poldark and other selected Masterpiece programmes. 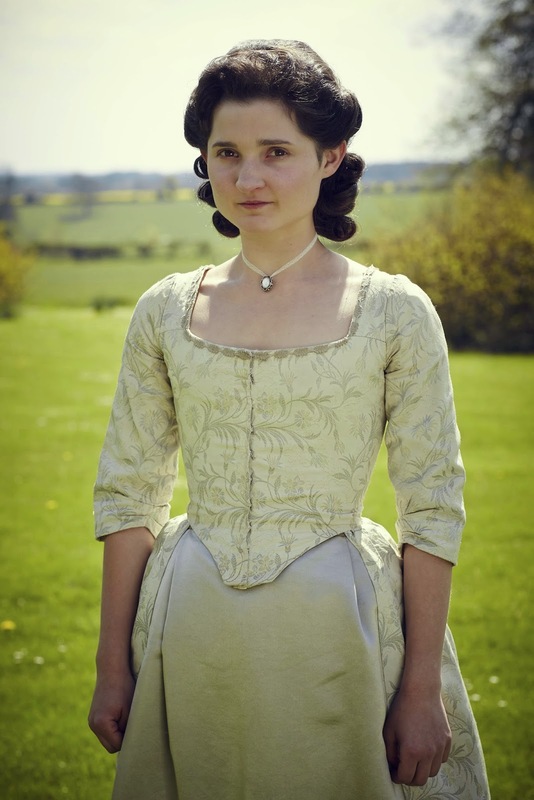 The programmes, which include Wolf Hall and Grantchester, will be available on Amazon soon after they have aired on the PBS channel reports Variety. 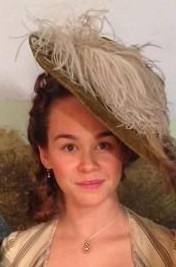 Amazon currently have the exclusive streaming rights to Downton Abbey, with all five seasons available. 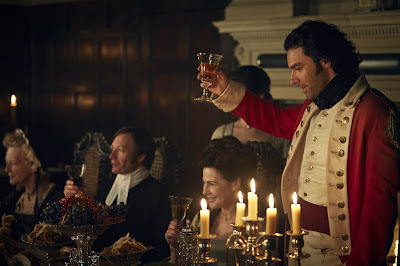 Vote for Poldark in the TV Choice Awards 2015! The TV Choice Awards give the public the chance to show their love for their favourite TV shows of the last year. 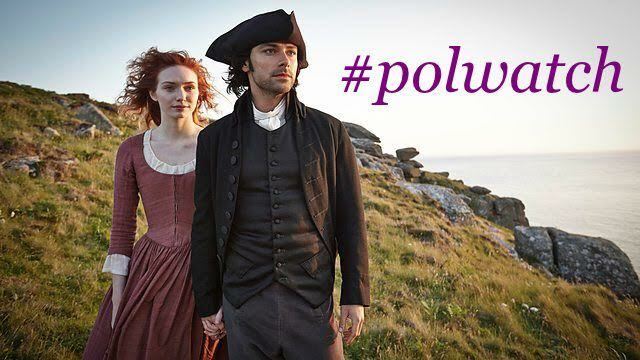 The nominations are now out and Poldark, Eleanor Tomlinson and Aidan Turner have all made it through to the shortlist. Voting is open until midnight on 10 July, 2015. Only one vote is allowed per person. The awards ceremony will be at The Hilton Hotel, London on 7 September, 2015. In Episode 2 of Poldark there's a ball at the Assembly Rooms with plenty of dancing to be had. Dancing Master Stuart Marsden taught the actors the dances. 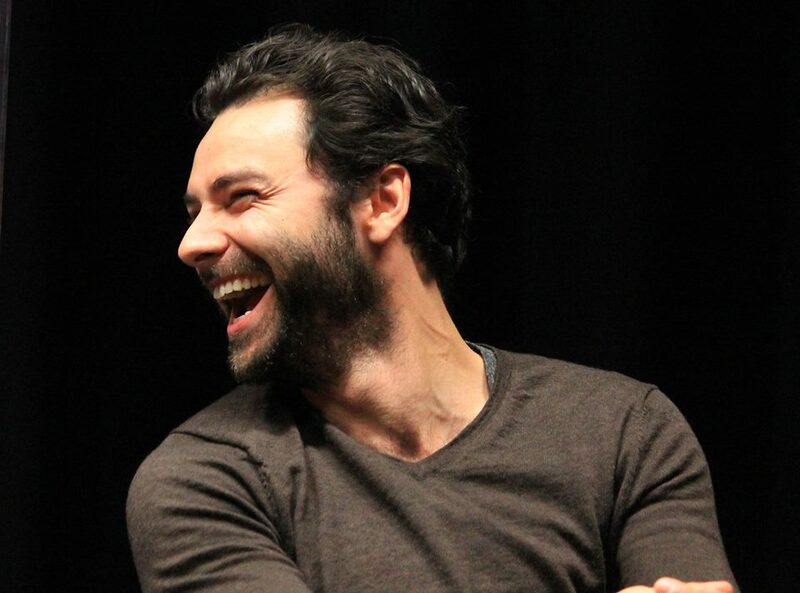 Aidan Turner, who trained in ballroom and Latin American dance as a youngster told Assignmentx, "The dances, even – we learned the gavotte and the allemande, and it’s so different. The weight is just held in a different way. Everything I knew about dance is out the window. The weight isn’t in the legs and it’s not strong. You don’t lead, because you’re on your toes and you’re wearing pumps and tights and there’s a very certain way of holding yourself in the day." 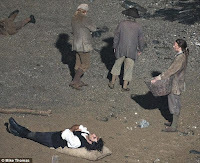 They certainly seemed to enjoy themselves filming if this behind-the-scenes video is anything to go by. 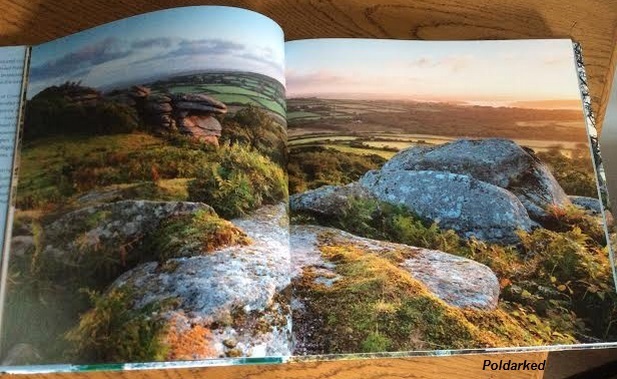 The first thing you notice when you open Poldark's Cornwall are the stunning photographs. The wonderful shots of the coast, the countryside and the villages are enough to make you fall in love with Cornwall there and then. 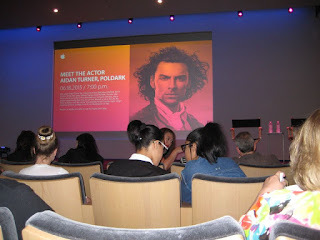 As a lovely surprise there are pictures of Aidan Turner and Eleanor Tomlinson, who play Ross and Demelza in the 2015 TV adaptation of Poldark, in it too. Yes! As a visual book Poldark's Cornwall is quite beautiful. But it is the text that is the real delight of this book. I had expected it to be information on this church or that cove but when, halfway through the introduction, I had tears in my eyes, I realised I had seriously misunderstood what this book is about. It is, in fact, a charming tale of Winston Graham's life in Cornwall, full of wonderful stories and anecdotes. I never expected to be reading the ghostly tale of the warm bedside chair and the curate's wife, of conversations in the Gents, or Graham's self-effacing account of a stranger talking to him about Cornwall getting spoiled as a result of authors like '...this chap Winston Graham...' writing about it for their own profit. Poldark's Cornwall is described as a companion to the Poldark novels and that is truly what it is. If you want to understand the backdrop to Graham's writing, then this is the book for you. Poldark's Cornwall is published by Macmillan and costs £20. It is also available in ebook at £12.99. Here's the MasterpiecePBS preview of Poldark Episode 2 starring Aidan Turner as Ross and Eleanor Tomlinson as Demelza. 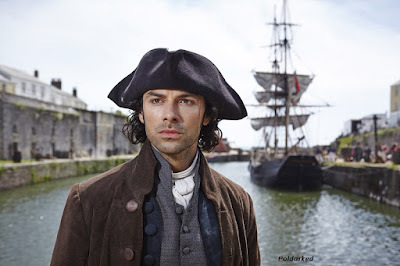 Poldark is on Masterpiece PBS at 9pm, Sundays. Is it too early to talk of Christmas? 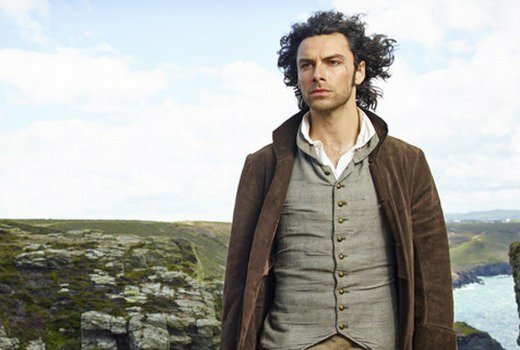 Because here's something all Poldark lovers are going to want in their stocking (apart from Aidan Turner): The World of Poldark. 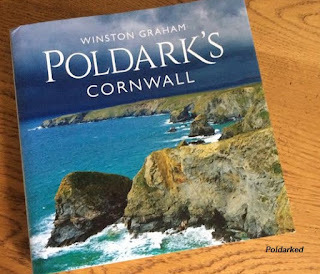 The World of Poldark will be published by Pan Mcmillan who also publish the Poldark novels and Poldark's Cornwall, a beautifully illustrated companion to Winston Graham's saga. Pan Mcmillan have also acquired the rights to publish the scripts of the first two seasons of the TV show. 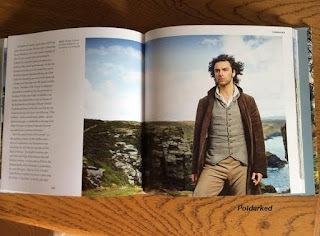 The World of Poldark will be published in hardback on 5 November 2015 price £20. Here are some of the characters to look out for in the first episode of Poldark showing on PBS Masterpiece, Sunday June 21st. 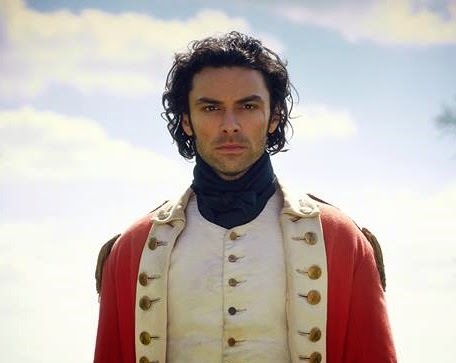 Ross Poldark (Aidan Turner) A man of contradictions, Ross has a strong sense of social justice but a contempt for authority. Reckless yet full of integrity. Charismatic but down-to-earth. Volatile yet fiercely loyal. Torn between two women and two social classes. A hero to most, a scourge to many. Demelza Carne (Eleanor Tomlinson) The only daughter of an impoverished, brutal and alcoholic miner, Demelza is rescued from a life of violence by Ross who employs her as his kitchen maid. Outspoken and fiercely independent, her lively mind makes her thirst for knowledge. Her blossoming beauty goes unnoticed by Ross – at first! Francis Poldark (Kyle Soller) Ross' cousin. 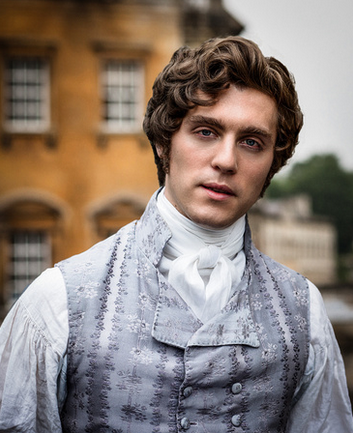 Born into wealth, Francis stands to inherit the greater Poldark estate. However, he is not as capable as his father or his cousin and struggles to take over the running of Grambler mine. 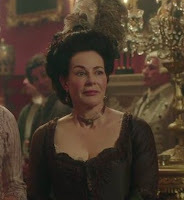 Keenly aware of his inferiority to Ross – his wife’s true love – he turns to gambling and drink. 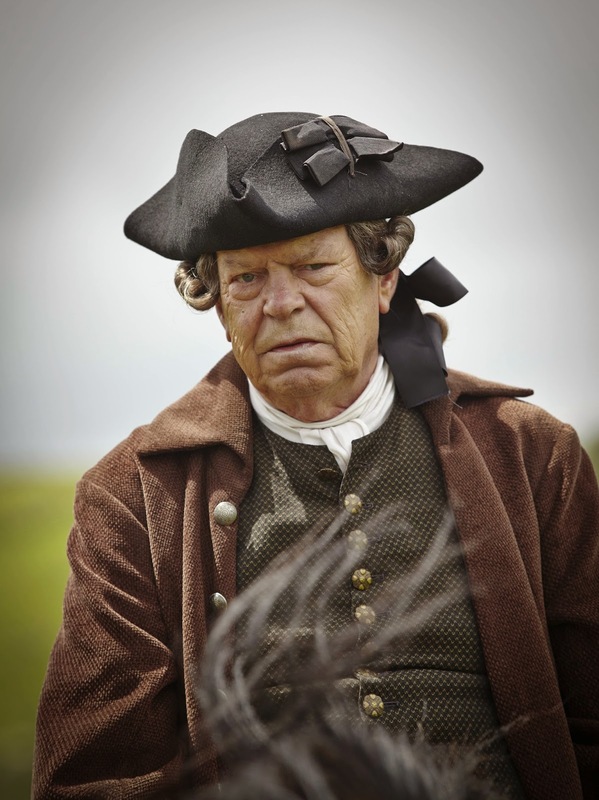 Charles Poldark (Warren Clarke) Ross' uncle. 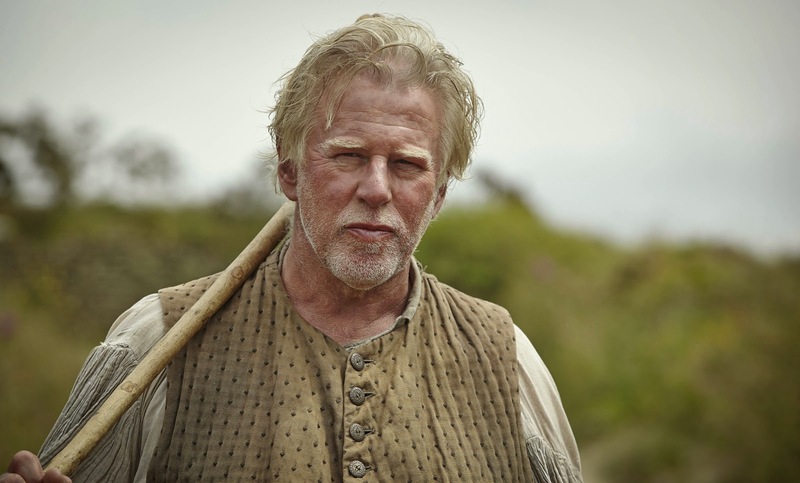 An imposing man whose presence fills any room, Charles is the elder statesman of the Poldark family. 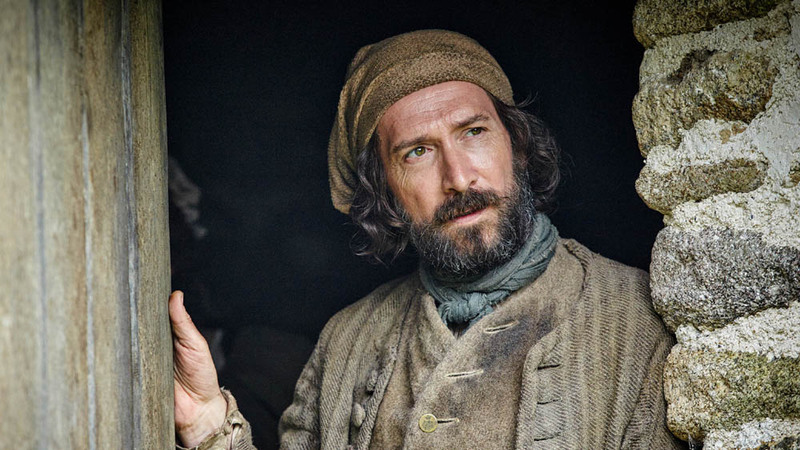 He longs for his son Francis to be more like his nephew Ross, but privately concedes that Francis lacks the gumption and aptitude to take over the family business. 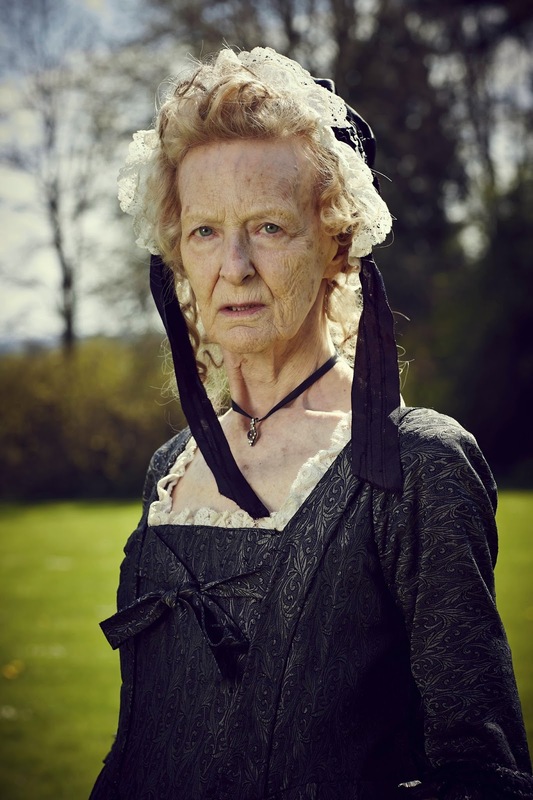 Aunt Agatha (Caroline Blakiston) The matriarch of the Poldark family, Aunt Agatha may be in her nineties with little of her hearing and none of her teeth left, but she is as shrewd and outspoken as she ever was. George Warleggan (Jack Farthing). From humble beginnings as blacksmiths, the Warleggans have strived to become one of the wealthiest and most powerful families in Cornwall. George is an ambitious young banker who will stop at nothing to make a profit, even if it means seeing his closest friends financially ruined. Cary Warleggan (Pip Torrens) George’s uncle and the devil on his shoulder, he presses George to make increasingly callous business decisions. Cary maintains a coarse edge that betrays his working class upbringing and can be an acute embarrassment to George. Zacky Martin (Tristan Sturrock) A village elder. Zacky is one of few in the mining community who can read and is well respected amongst his peers. He is older than Ross, but they are old friends and he is proud to be able to work at Wheal Leisure where he gains a trusted position. Jim Carter (Alexander Arnold) (pictured), Mark Daniel (Matthew Wilson) and Paul Daniel (Ed Browning) Ross’ friends from before the war, they would often get into scrapes together, mostly a bit of smuggling. 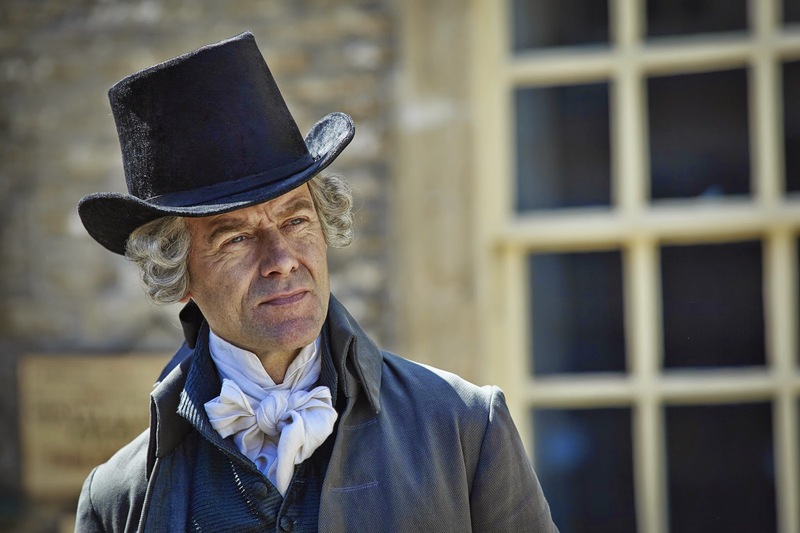 Ross believes that they will always see him as gentry – a landlord to doff their caps to – but they are actually loyal and devoted friends. ...Jud Paynter (Philip Davis). Jud and Prudie were Ross’ father’s servants and friends, but they are drunken, lazy and not averse to stealing from their master’s drinks cabinet. Ross keeps them on in recognition of their relationship with his late father, but it is a struggle to get them to pull their weight. 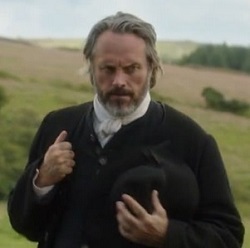 Harris Pascoe (Richard Hope) A kindly banker who has a long history with Ross and his father. His bank is much smaller than Warleggans, but he works hard in his clients' best interests and would be loathe to let any of them fall into bankruptcy, especially Ross, who he considers a good friend. Dr Choake (Robert Daws) The snobbish local doctor who considers himself above the lower classes that cannot pay him enough for his services. 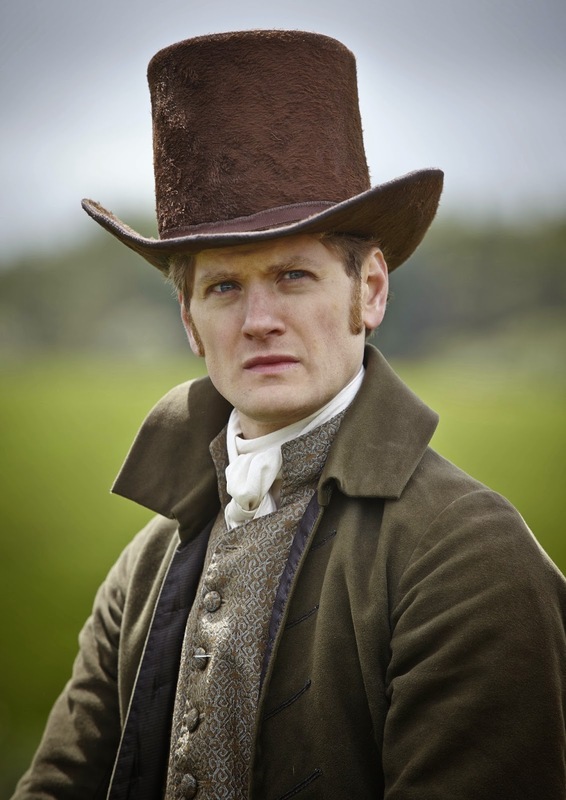 He focuses on working for the wealthy and is a firm advocate of leeches and bleeding and does not approve of Dwight Enys’ modern methods. He is also a stakeholder in Wheal Leisure. Aidan is 32 today and what a busy year this last one has been for him. Not only has he made a phenomenal success of playing Ross Poldark but he's also been busy with other projects such as playing Jack McNulty in The Secret Scripture and boat man in the animated feature film Loving Vincent. His birthday finds him in New York promoting Poldark and filming the movie Look Away. Not bad for a lad who left school not knowing what he wanted to do. That buzz led to Aidan training at the Gaiety School of Acting in Dublin. He graduated in 2004 and for the next few years worked steadily in the theatre. One early appearance was in The Plough and the Stars at The Barbican, one of London's top theatres. Then, after years of playing supernatural characters, Aidan was offered the role of Ross Poldark. For the writer Debbie Horsfield and producer Damien Timmer, there was no other choice. 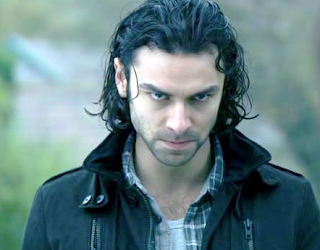 But was Aidan ready to play a human? He says, "Was it a challenge playing a normal human being? Yeah I suppose so, but it was exactly what I was looking for." We're all so glad of that! 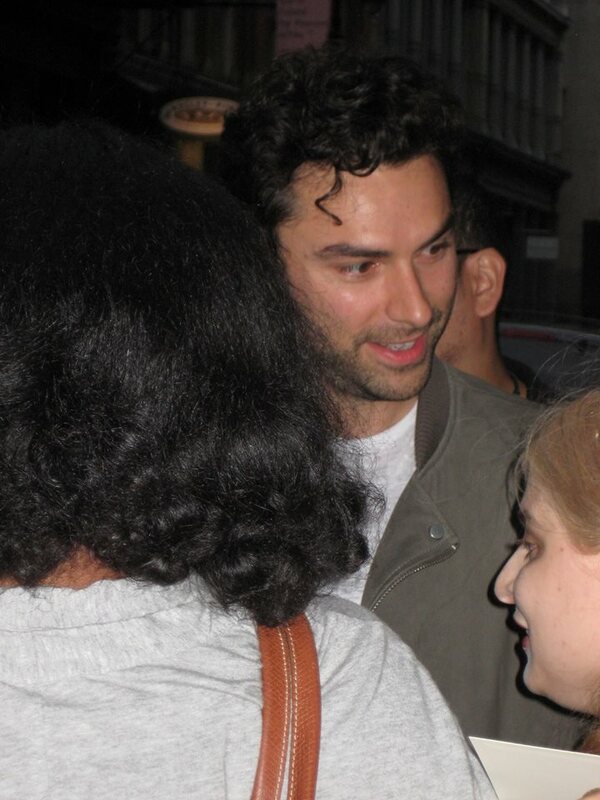 Back in 2006 Aidan claimed that one thing he would never be able to do is, "...a one-arm press-up. I've smashed my face so many times trying this one." 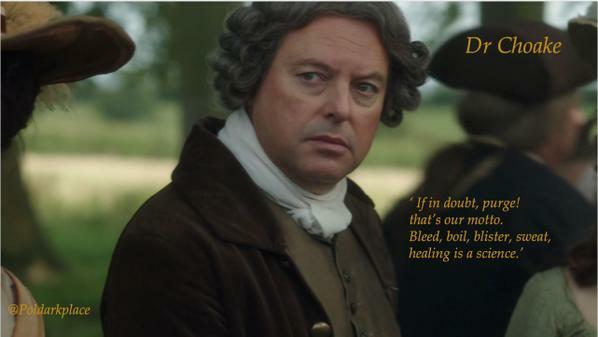 From the look of Aidan in Poldark we're guessing this is no longer true! 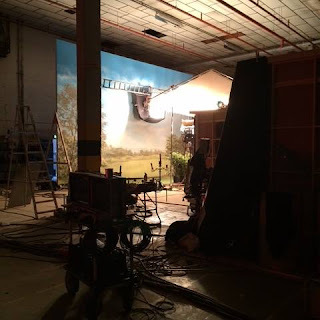 Aidan likes to paint and, according to fellow The Hobbit actor Jed Brophy, he's brilliant at it, "Although" Jed says, "he would hate me saying that, because he doesn’t rate it. But I saw some of the art that he did when he had days off , and I think that he’s got a lot of talent." 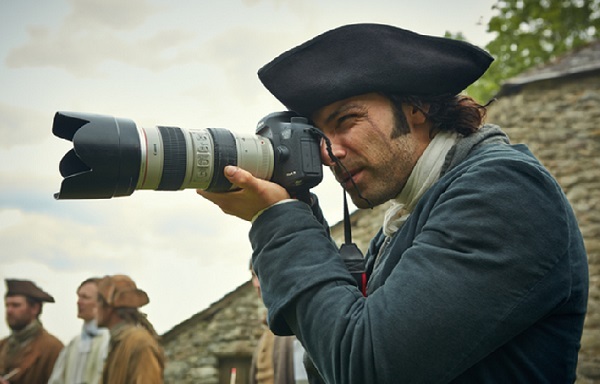 Aidan likes photography and can often be seen on set camera in hand. Aidan enjoys his food. 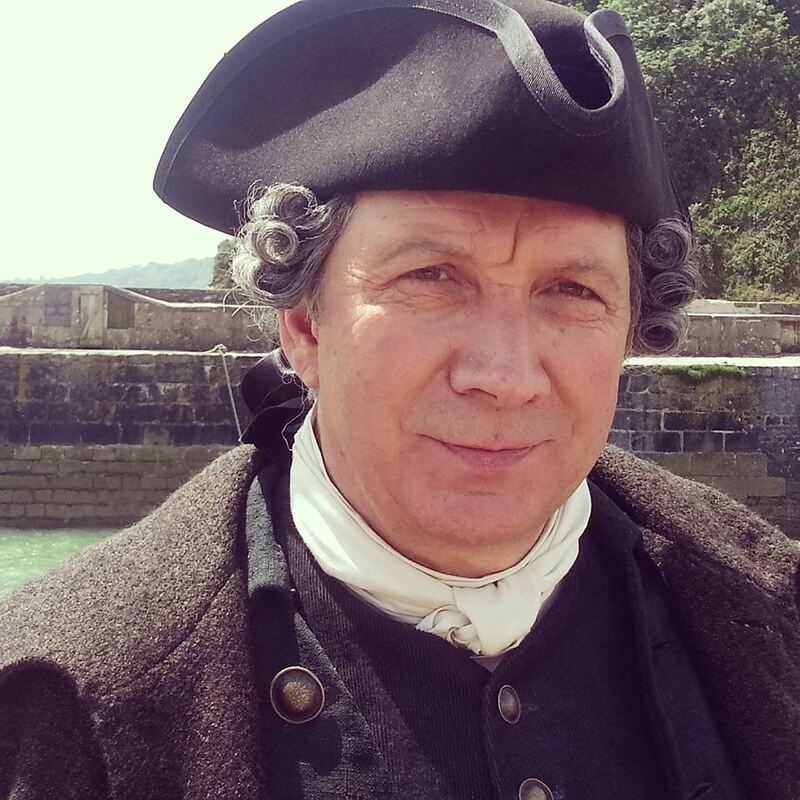 In fact, one of his few complaints about Poldark was that he had to watch what he ate so as not to put on weight. From Brussel sprouts, "I'm a big fan of those," to ToffyPops of which he once admitted, "I'm totally addicted" he says, "I eat everything. There is no food I don’t like." Aidan is great at sleeping! Jed Brophy says, "The one [dwarf] who slept the most was Aidan Turner. Always asleep. Had to wake-him up, and between takes all the time. He manages to sleep in awful lot. I think it’s cause he really likes the nightlife." Aidan is terrified of sky diving. While out in New Zealand, James Nesbitt persuaded Aidan to try it. And did he man-up for it? “Oh! When you say man-up – I screamed all the way down. I had a panic attack on the way down. I couldn’t breathe. Yeah. Yeah. It’s all on tape… I didn’t man-up at all!" I can't help admiring Aidan for giving the sky diving a go but I think I admire him all the more for admitting it was terrifying! 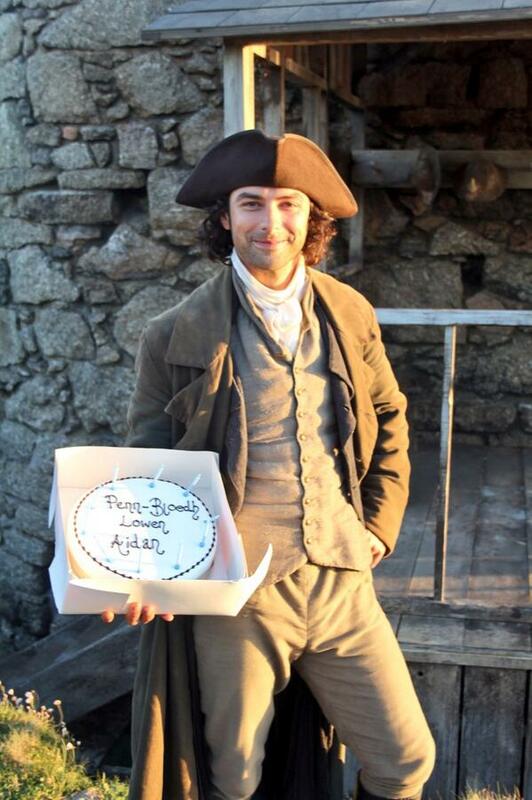 Here's wishing Aidan a very Happy Birthday from all of us at Poldarked! Aidan Turner will be at the Apple Store, SoHo in New York on Thursday 18 June, 2015 for a Q&A and discussion about Poldark reports pulsd. The Poldark event at the Radio Times Festival will be on Sunday 27 September but the cast taking part has not been confirmed as yet. The four-day festival is at Hampton Court Palace 24 to 27 September, The programme is available on the festival website from 10 am on 9 June. 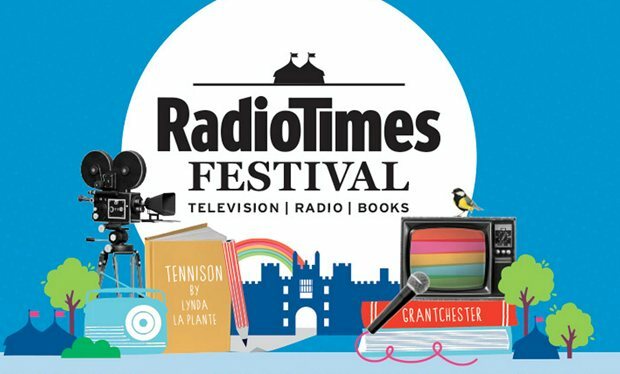 Tickets for Radio Times subscribers go on sale at noon on the 9th, with tickets for the general public being available from 23 June. Many thanks to @Dorina335 for alerting me to this information. 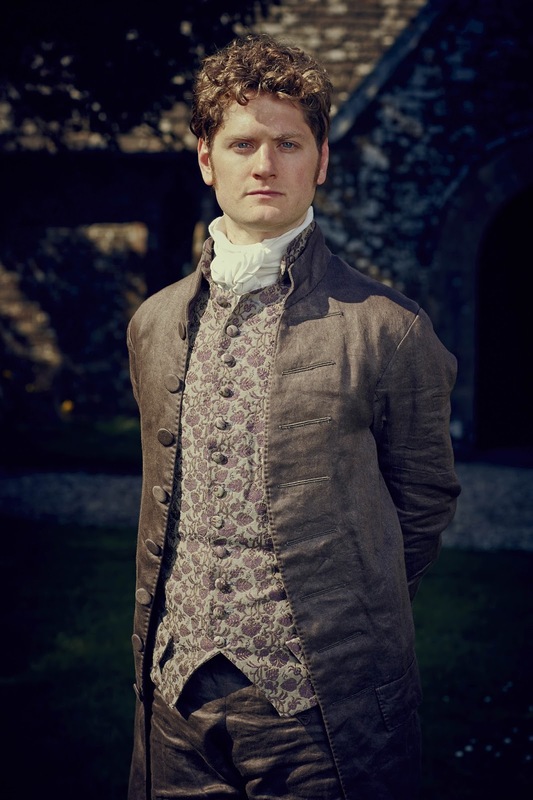 When I suggested recently that actor Tom Hughes was just right for the role of Drake Carne, should Poldark run to a third series, I had no idea his best mate was Kyle Soller, who plays Francis in the BBC drama. 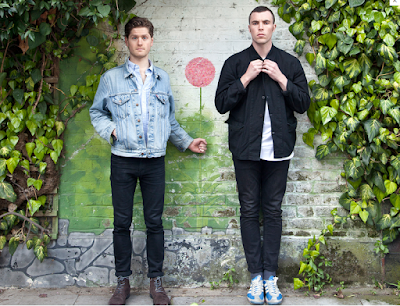 In a charming interview with The Independent on Sunday, Tom and Kyle talk about each other. Here are some excerpts that give a nice insight into Kyle coming to England from the US. 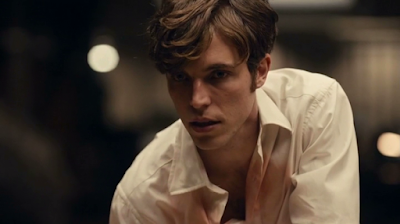 Tom Hughes: "With some people you know you're going to be mates. We were both at a final audition for a place at Rada; we spent the whole day together auditioning and I struck up a kinship with him. Afterwards we clasped hands and gave each other a quick hug and I remember thinking, if nothing else, I've made a friend. When I got the call to say I was on the list, I looked down at the others in my year, and there was Kyle, and from that day on we've been tight. When he came to London it was his first time in the UK, and he was living on his own in a flat. His knowledge of what England was like was based on TV and books. I told him a lot about Chester, where I'm from. He seemed interested, so I asked him to stay at my parents' house. We walked along the canal, and I took him into Wales, to show him how beautiful it is. If you take a man north, you've got to give him a pint, and he had his first ale, too. The thing I loved about Kyle was that we never talked about work: we'd talk music and whiskey. We got a flat together with a couple of other lads. It was meant to be a little sanctuary, but it turned into our little hell. The day we moved in, the first goldfish died in the garden pond. And within a week, all the fish were dead. We then had a spider infestation, followed by a dead fridge for a month. It was a nightmare: these two kids down in London not knowing what do about it. Eventually we had to do a runner, and our big plan to live together didn't pan out. It's difficult to be an American actor in England. Making a go of it is almost an impossible challenge. But [playing Francis in] Poldark is testament to how hard he works and his acting ability. I've had three or four people say to me, "I had no idea he's not English!" Kyle Soller: "We met during the last round of auditions for Rada, 10 years ago. Towards the end of the group-movement audition, we were all instructed to recreate an airplane with our bodies. I didn't know what I was doing, I was just lost, until I saw Tom at the back standing up straight and pretending to be the tail. His eyes motioned me to join him, so I ran over, jumped on his back and became the tailplane. The moment we left the room, we looked at each other and hugged and I said, "See you in September!" It wasn't presumptive; I just knew I'd met a kindred spirit. We've had a similar upbringing of listening to music, playing sports and acting, and he's someone who matches my rhythm to a tee. We have these music-sharing parties at his place, drinking the whole day and playing music on our guitars. We always said we wanted to form an oldies group together - though I was more Rolling Stones than Beatles, so he gave me their back catalogue. And he has got me into stuff I never got into in America, such as the Stone Roses." 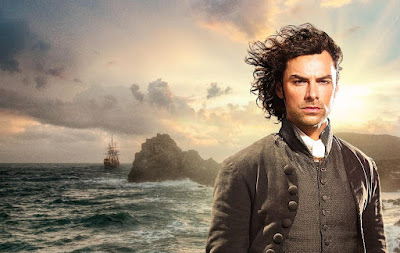 The video-on-demand channel Cirkus has acquired Poldark for 2015. Cirkus aims to bring the best of British TV to international audiences and has long-term access to programmes from ITV, BBC and All3Media. Cirkus operates in Finland, Norway and Sweden and has just signed a deal to with Vodaphone to bring its services to Iceland at the end of June according to BroadbandTVNews. 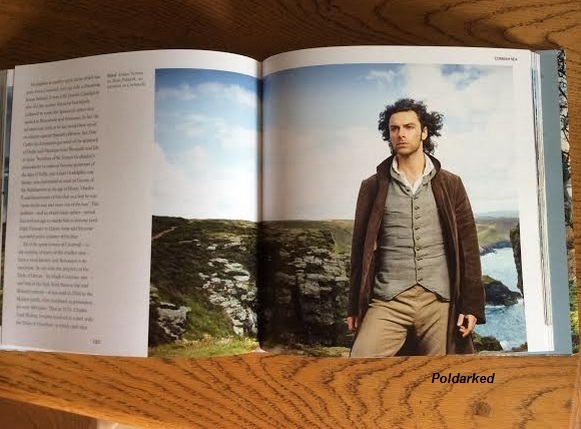 Poldark joins other dramas like Dancing on the Edge (with Tom Hughes, Chiwetel Ejiofor, Matthew Goode), Sherlock (Benedict Cumberbatch and Martin Freeman), Luther (Idris Elba) and Peaky Blinders (Cillian Murphy) in its 2015 catalogue.